For the fifth consecutive week, Alabama State remains atop the Black College Nines’ HBCU Division I baseball poll announced April 14, 2015. The Hornets, 23-11 overall and 12-3 in Southwestern Athletic Conference, are winners of 9 of their last 10 games. Trailing 8-2 in the six inning, a nine-run sixth inning after two outs, gave the Alabama State baseball team a 15-11 win and a three game sweep at Mississippi Valley State on Sunday. But the rest of the top 10 changed. The University of Arkansas at Pine Bluff rose three spots, assuming the No. 2 ranking. Alabama A&M University dropped one spot to No. 3 and Norfolk State University climbed one spot to No. 4. Jackson State University dropped two spot to No. 5 and both Texas Southern University and North Carolina Central University maintained their respective No. 6 and No. 7 rankings from last week. Meanwhile, Florida A&M University moved up one spot to No. 8 and Bethune-Cookman University dropped one spot to No. 9. Southern University retained its No. 10 spot for the second week in a row in the “large school” division, made up of NCAA Division I baseball programs. In the “small school” division, Winston-Salem State University, for the fourth consecutive week, maintained the top spot in Black College Nines’ poll. The Rams, 27-12 overall and 7-1 in the Central Intercollegiate Athletic Association, are 23-7 at home in games played at the BB&T Ballpark in Winston Salem, NC. Remaining at No. 2 for the fourth week in a row is Virginia State University. Edward Waters College moved up one spot to No. 3 and Benedict College jump one spot to No. 4. West Virginia State College fell three spots to No. 5. The rest of the small school poll, made up of NCAA Division II, Division III and NAIA schools, is Talladega College at No. 6, Jarvis Christian College at No. 7 and Wiley College at No. 8. Paine College moved up one spot to No. 9 and Selma University dropped four spots to the No. 10. 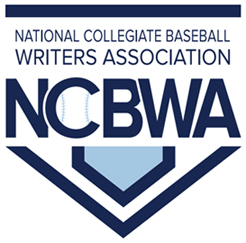 The voting committee is made up of a distinguished and distinctive group whose members continue to promote black college baseball at Historically Black Colleges and Universities (HBCUs). The group includes Ruffin Bell, originator of the former Black College Baseball HBCU National Championship poll and current Cheney State University Athletic Director. As well, the committee includes members of the College Baseball Hall of Fame’s Black College Legends and Pioneers Committee – Harold Michael Harvey, Jay Sokol, John Winters and the previously mentioned Ruffin Bell. Chuck Curti, national sports journalists and Michael Coker, political blogger, round out the voting panel. 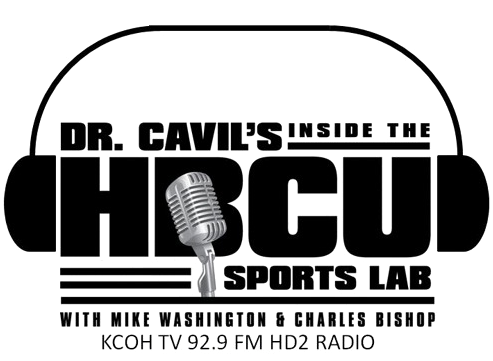 Bell, Harvey and Coker each played baseball at HBCU schools. Champions will be named for two divisions… the “large school” division will be composed of the 20 HBCU schools representing NCAA Division I and a “small school” division made up of the 34 HBCU schools with NCAA Division II, Division III, NAIA and independent status.